Thin Mint Cookies do not last long at our house. Even with good intentions these mint chocolate cookies only seem to last a week, at most. One cookie at a time they disappear quickly. 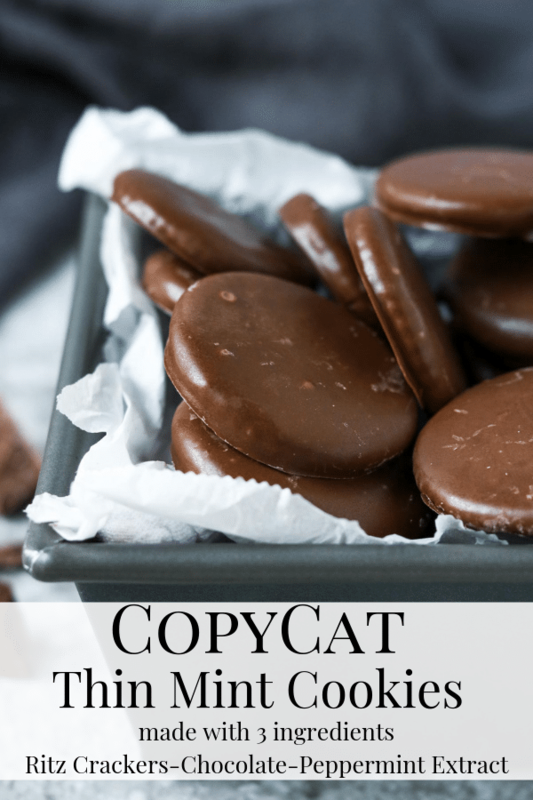 That is why we really love these copycat thin mints. We can have them anytime, anywhere, without having to wait on the girl scouts! These cookies could not be easier to make. You don’t even have to turn on the oven which makes them a great no-bake dessert. Using a double boiler (which is a pot of simmering water with a glass, heat proof, bowl fitted over top. Making sure the water does not touch the bowl). Melt the chocolate of your choice- either dark chocolate melting wafers or chocolate almond bark, chopped. After the chocolate has melted stir in the peppermint extract. A little goes a long way! Take the chocolate off the heat. Using a fork, dip the crackers in the chocolate making sure to coat both sides. Slightly shake the cracker on the fork to level the chocolate and get rid of the extra. 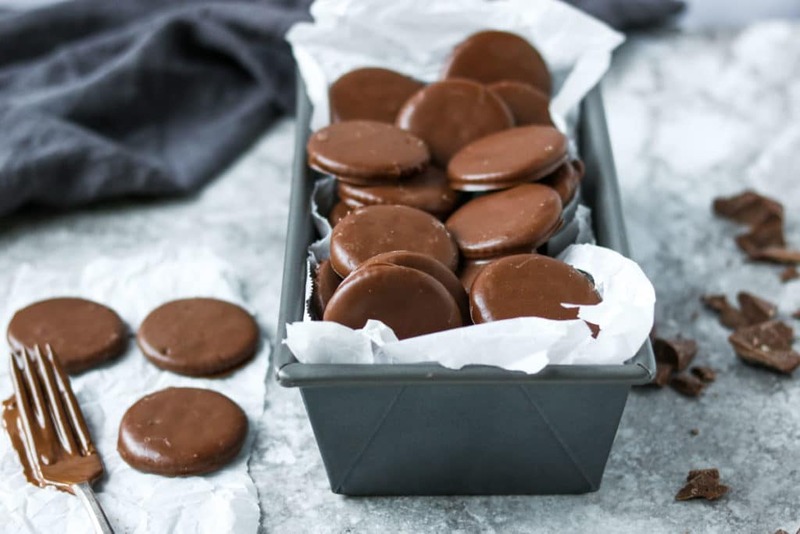 Lay the chocolate covered Ritz Crackers on Parchment paper or wax paper. They should set up in about 15-30 minutes. I use Ghiradelli dark chocolate melting wafers or chocolate almond bark to make my thin mints. Whatever you are using just make sure that you use a chocolate that will firm up as it sits. I would not recommend using chocolate morsels, your cookies will not set up the way you want them to. Sometimes we like to put a sleeve of our girl scout thin mints in the freezer. 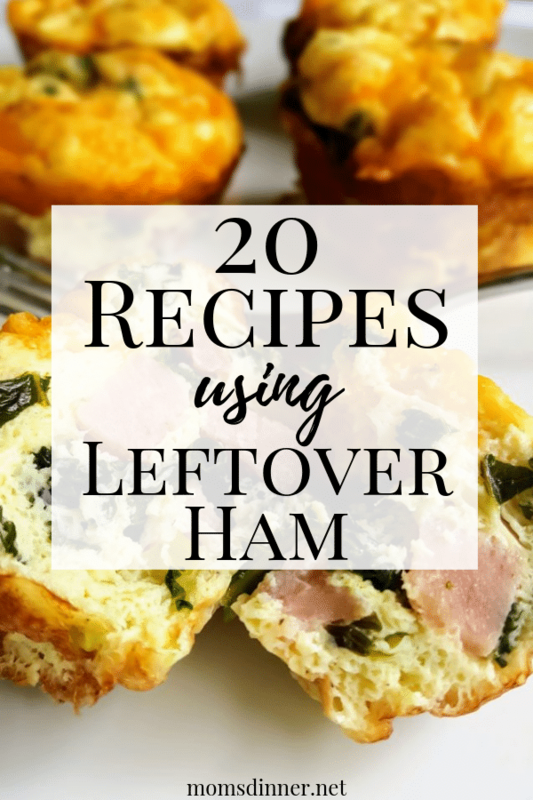 This copycat version would be great in the freezer too. But, if you are not into frozen cookies just keep them in an airtight container on your counter for up to a week. However, one by one they won’t last long! These Ritz Cracker Cookies also make a wonderful edible gift. At Christmas we like to give these out in little holiday tins. Great addition to a food basket gift. They would go great in a coffee, tea, or chocolate themed basket. May Day (May 1st), does anyone remember handing out may baskets when you were little? 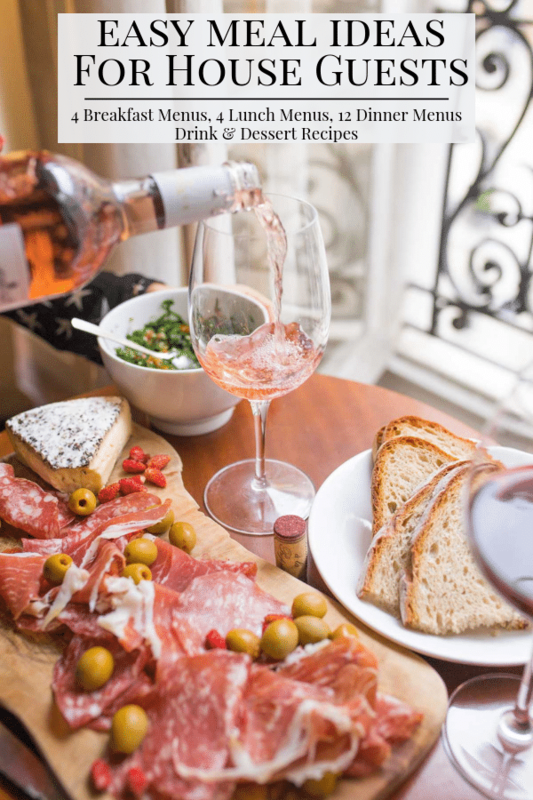 These would make a great May Day treat! Add to a new mom basket. 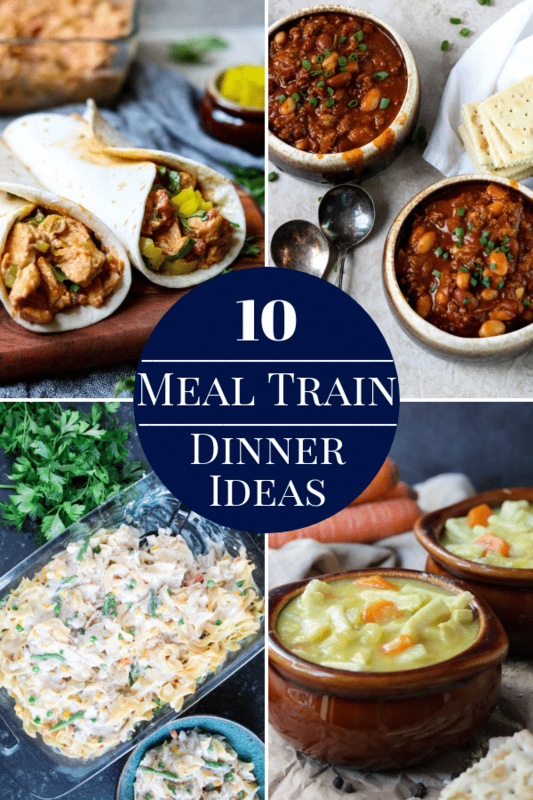 Wonderful dessert if you are taking a meal to a family. 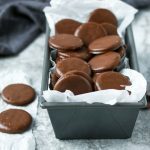 I hope you try these copycat thin mint cookies in your kitchen! 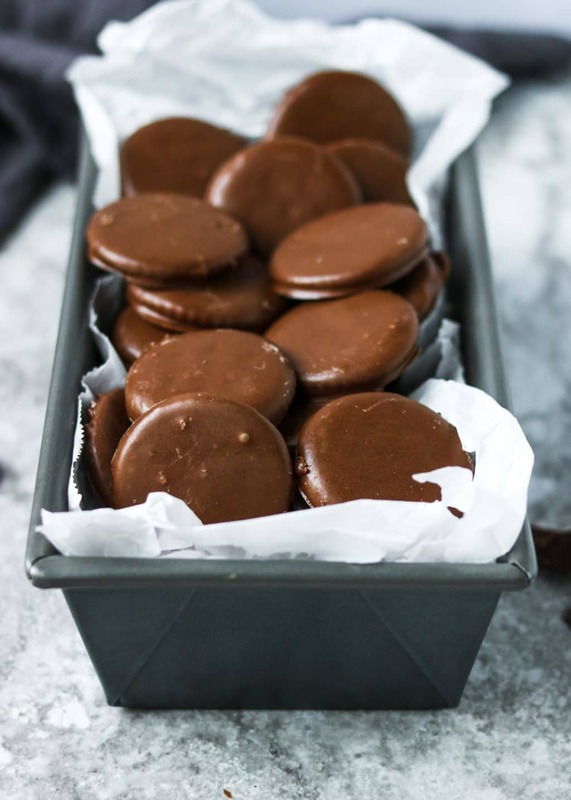 A homemade version of Girl Scout's Thin Mint cookies. 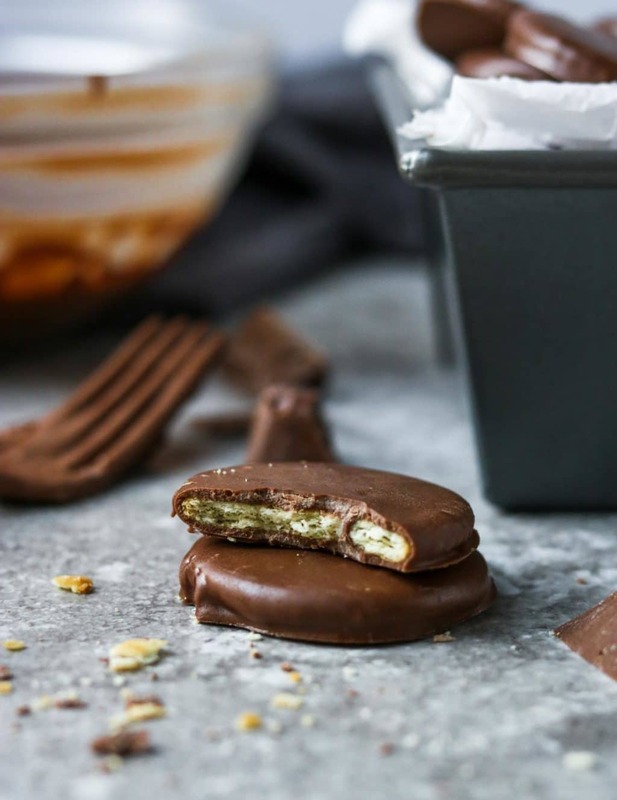 Ritz Crackers are covered with a chocolate spiked with peppermint extract. These are almost better than the original thin mint! 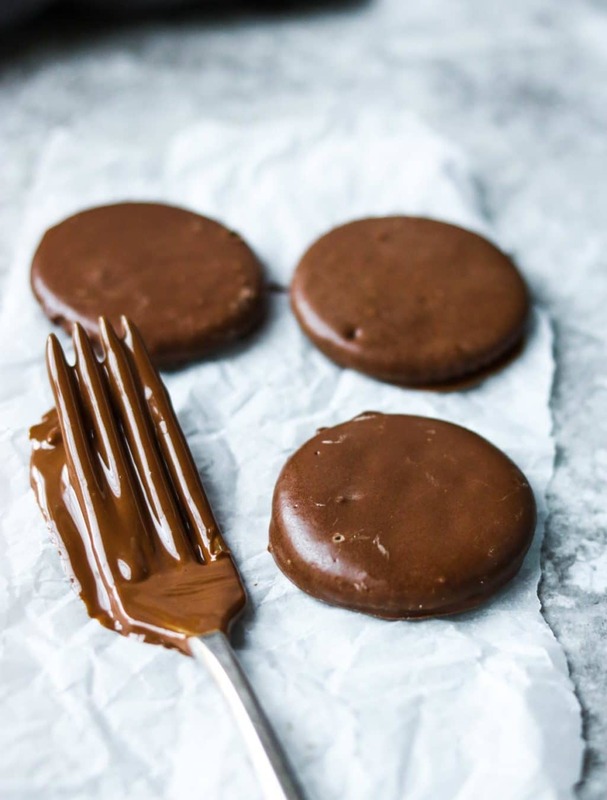 Melt the chocolate wafers over a double boiler. Bring a small pot of water to a boil. Fit a glass or metal bowl snuggly in the top of the pot, making sure the boiling water does not touch the bowl. Place the chocolate in the bowl and stir while the chocolate melts. Off the heat stir the peppermint extract into the melted chocolate. 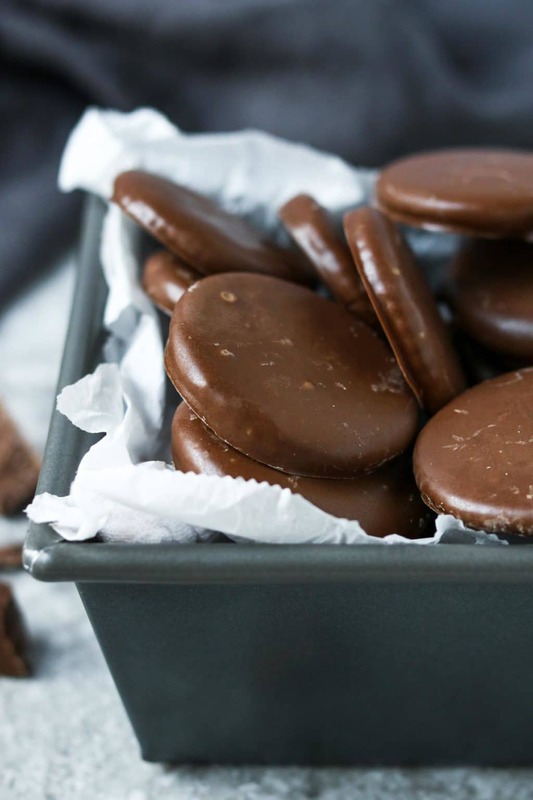 One at a time, place the Ritz Crackers into the chocolate. Using a fork turn it around in the chocolate to coat completely. Remove the cookie from the chocolate by laying it on the fork. Let the excess chocolate drip from the cookie. You can also lightly shake the cookie back and forth, this will also level the chocolate on top. 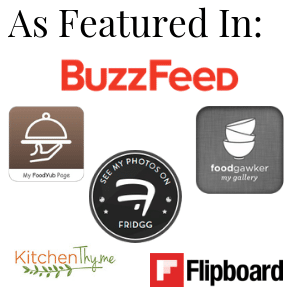 Place on a parchment lined sheet pan to dry/harden. This will take about 15-30 minutes. 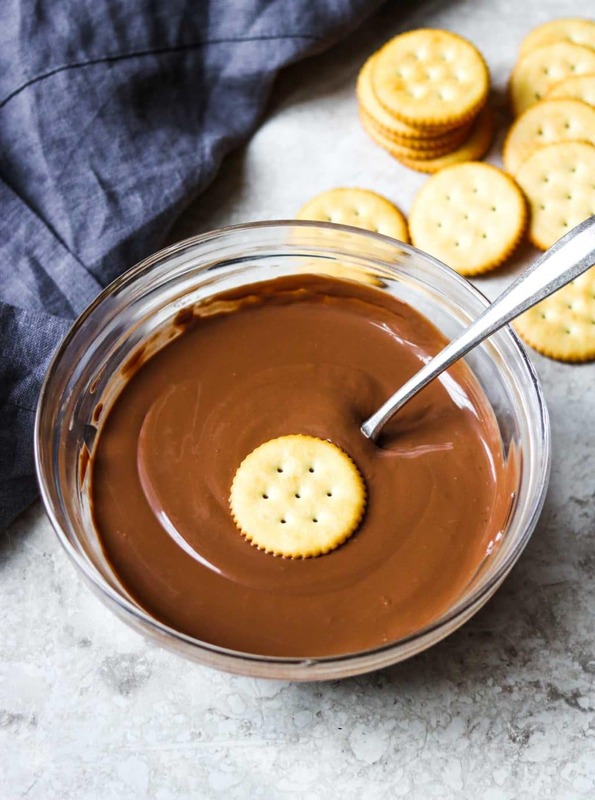 If your chocolate starts to get tacky while you are dipping the crackers place it back on the double boiler for a minute or two until the chocolate is smooth again. Just like the real deal but better! I have to stop myself from eating these.